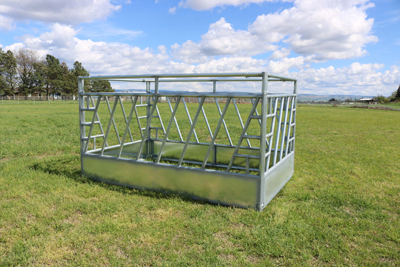 The main frame of the Slant Bar Cattle Feeder Panels is made out of 1 7/8” 13 gauge American made galvanized steel tubing (slant bars are made out of 1 5/8” galvanized steel tubing). The panels are 5’6” tall with a solid 14 gauge galvanized sheet metal welded on the bottom 18”. The slant bars have a 12-1/4” spacing. 3 clamps provided with each panel. 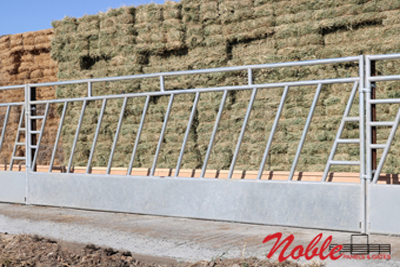 Copyright © 2009 Noble Panels & Gates, Inc. Livestock & Horse Fencing Products. 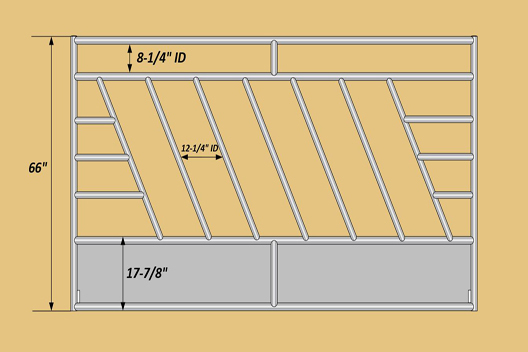 Feeder panels can be clamped together to form a feed bunk allowing your cattle to feed from all four sides. This system offers optional corner braces to provide even more strength and duarability to this already robust structure.